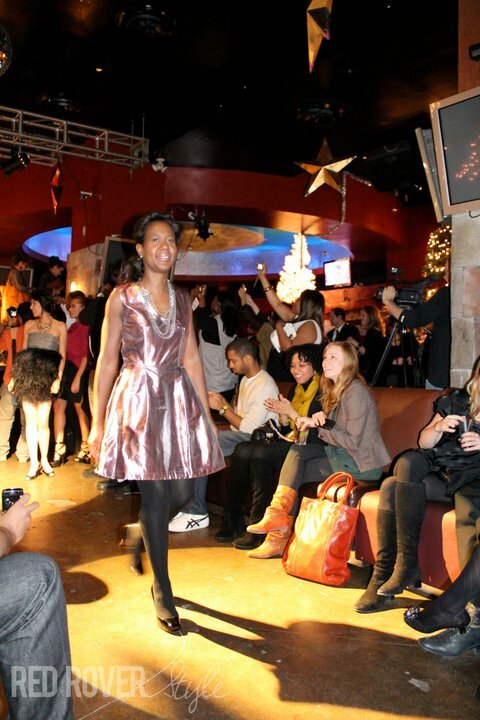 The Fashion Is Never Bottomless fashion show was on Monday; our efforts helped to raise $1300 for Bottomless Closet NYC. We blodels (blogger models) had a great time meeting one another, getting made up and walking the catwalk for a good cause. I modeled this funky little frock by astrophel+stella designed by Kristin Klonoski. 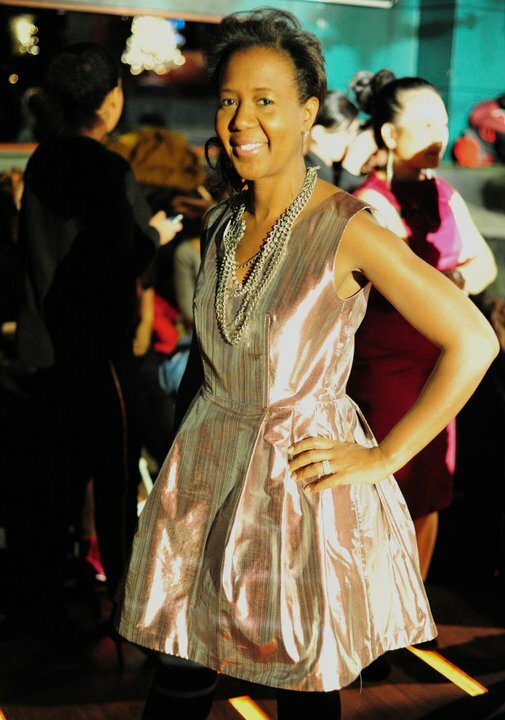 There were 7 other designers who loaned their clothes for the cause: Gwen Beloti, Viva Aviva, Hare + Hart, Caycee Black, Tracy Reese, Rebecca Taylor and Dr.Jays. I was under the weather on Monday, so all thoughts of tripping were replaced with hoping not to sneeze in the middle of my walk! But, as soon as the music started and I walked out on stage, my inner show-woman emerged. I smiled, pulled my shoulders back and strutted my stuff just as if Ms. Jay shimself had given me private lessons. I’m a ham at heart, so I got out there and had a good time! FYI – Catching a glimpse of my own private cheering section is what resulted in that extra big smile above. 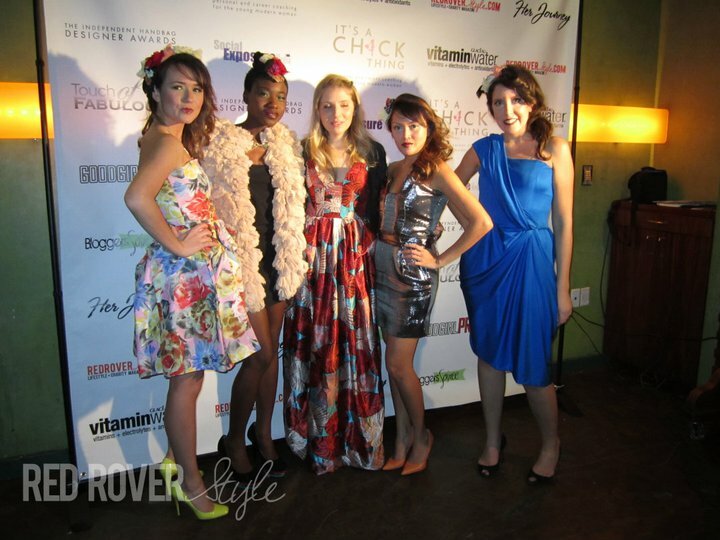 The event was hosted by Desiree Frieson of The Bloggers Soiree and co-hosted by RedRoverStyle and Her Journey Magazine. The event hosts worked their magic and got some wonderful sponsors involved - TouchOfFabulous.com, Social Exposure Media, Girls in Tech, MySkin Inc, Urban Pearl Public Relations, The Independent Handbag Designer Awards, DrJays.com, Glaceau Vitamin Water, GoodGirlPR and Social Fashion. And each guest received a great gift bag filled with products donated by Sacred Space Acupuncture, Avon, Sephora, Glaceau Vitamin Water, Arbonne International, Arganica, Salon DP Lorana, products from Carol’s Daughter, Pooka Pure and Simple products and lipgloss by Lauren Luke. To see more pictures from the fashion show, click here. And to learn more about how to get involved with Bottomless Closet NYC, click here. Remember the collective gasp when Carrie Bradshaw walked the runway and tripped? Who could forget that episode, right? Well, I’ll be walking the runway for a good cause on Monday, December 13th and I’m doing what I can to get this image out of my head before then! Come join us on Monday, December 13 when bloggers, young professionals, philanthropists and fashion industry professionals will be present to witness six designers, 18 fashion/lifestyle bloggers and a special belly dance wear fashion show by Decotach by Angela Lambru Belly Dance Fashion/Costume designer at the “Bloggers Soiree Presents:Fashion Is Never Bottomless” charity benefit for Bottomless Closet NYC. Bottomless Closet is a non-profit organization providing clothing, resume writing services, workshops, financialmanagement, and professional development services to disadvantaged women in New York City. 75% of the proceeds will be donated to the charity. Bottomless Closet will host an accessories drive at the event; guests are welcome to bring and donate scarves, gloves, hats, shoes, jewelry and clothing. IRS tax forms will be available for all donations. Tickets are selling for $20-$35 and can be purchased here. If you’ve ever thought about staring your own business but aren’t quite sure how to get started, Ladies Who Launch might prove to be just the stepping stone you need. Ladies Who Launch was instrumental in my segue from practicing law to the world of entrepreneurship. Next Monday and Tuesday, Ladies Who Launch is hosting it’s Dream It! Lauch It! Live It! Global Conference for Women Entrepreneurs in New York and Seattle. Yes, Monday, November 8th is right around the corner, but the lovely ladies at LWL are offering 50% off of the registration fee for Possess Your STYLE readers. Use the code VIP50 when registering. I look forward to seeing you there! If you like the finer things in life, believe that a red-soled shoe must adorn your foot at least once in this lifetime and love all things style and lifestyle related, then attending lavish! might be a necessity. lavish! is the brainchild of Shameeka Ayers, also know as The Broke Socialite. I know, right? Leave it to The Broke Socialite to come up with the conference to end all conferences. But don’t be fooled, this isn’t just any regular ‘ole conference. lavish! is slated to be an un-conference where some of the swankiest of the swankiest bloggers in the lifestyle space will be convening to network and talk shop in an un-conference way. Why lavish!? Well, after attending a number of conferences Shameeka felt like a square peg in a round hole – she wasn’t a “Mommy” blogger per se, nor a true “Tech” blogger, but a blogger who blogs about the finer things in life running the gamut from interiors to style to food and travel. So, she let her fingers do the walking and started tweeting, skyping and emailing some of those square pegs she’s met at other conferences et voila, lavish! had legs. Come join us in Atlanta at The Mansion on Peachtree (a Rosewood property, known for some of the most luxurious properties on the planet) the second weekend in December (the 10 through the 12th to be precise). If you’re a blogger, be there or be square! If you’re thinking about dipping your toe into the lifestyle slice of the blogsphere, attending lavish! is the perfect entrée to meet some of the movers and shakers setting the standard. I’ll be there moderating the STYLE panels – our lineup is pretty FAB: Franki Durbin of Life In A Venti Cup, Monica Barnett of Blueprint for Style, Sondra Lewis of Chic Chocolate, Kelly L Moore of For the Love of Design, Dawn Del Russo of Bella Dawn, Roshini Cope of Glamazini, LaToicha Givens of Luxe Tips and Marie Denee of The Curvy Fashionista. Stay tuned … The Broke Socialite is working her jelly; daily, new bloggers and sponsors are being added. Her latest coup? The hot new duo behind Rue Magazine have signed on as the official online media sponsor! Come join us. Learn more here. 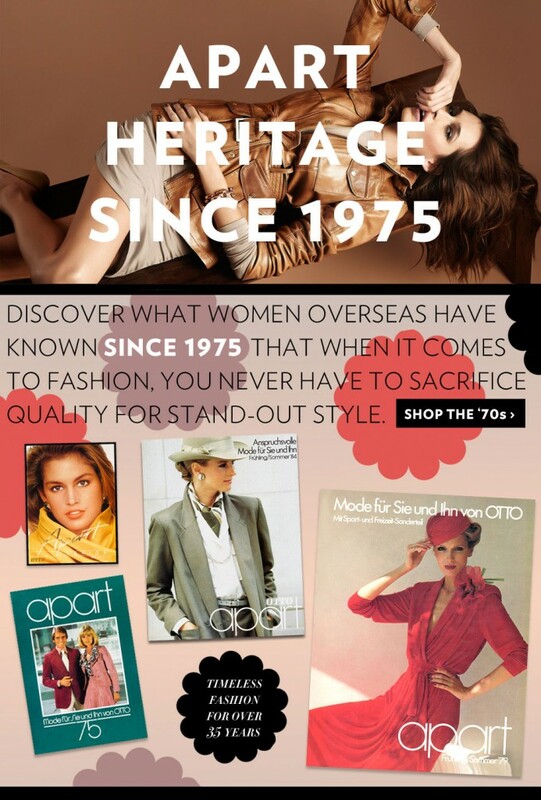 APART Invites PYS Readers to Save $$$!!! The folks at APART have been kind enough to extend a 20% discount to all Possess Your STYLE readers. Now, I know you’d really save money by not shopping, but since it’s Fall and your wardrobe likely needs a boost or two, check out APART to see if they have something that tickles your Fall trend fancy. Just enter the code FALL at checkout. Happy Shopping! Published on May 14, 2010 in Sales & Events. 1 Comment Tags: Kalyn Johnson, Kier+J, Style by Kalyn Johnson. WHY: Um … great sweaters (wool blends, silk blends and fine cottons) at really really low prices, like $20 per sweater. Designed in Paris by Junichi Hakamaki, former assistant to Tom Ford, and sold state-side. The collection is made up of light-weight knits in a range of styles – funky cardigans, beautiful wrap sweaters, henleys, tanks and t-shirts – all at a fraction of the cost. Junichi’s designs are for the modern discerning woman, these are not your grandma’s cardigans! Published on December 16, 2009 in Fashion Tips, Sales & Events, Shopping Tips and Style Tips. 0 Comments Tags: Ann Lansing, Annie Lansing, belt buckle, belt buckles, belts, Kalyn Johnson, Lancome, Lancome Boutique, Pappagallo, Style by Kalyn Johnson, unique belt buckles. While visions of sugar plums are dancing in the heads of others, I’m craving another one of Ann Lansing‘s belts, the buckle and strap combo are so retro – you know you had a belt from Pappagallo – but Annie’s creativity gives them just the right amount of edge! I’m hoping Santa leaves me a new one for Christmas. To insure Santa leaves one of Annie’s belts under the tree for you, pick up one for yourself at Ann Lansing’s holiday trunk show this Saturday if you’re in New York. 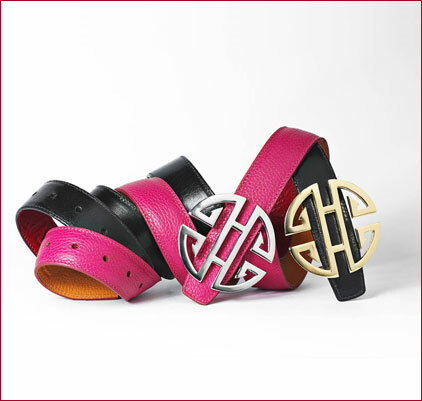 WHY: Her belts are unique, fun to wear and 10% of each belt purchase will benefit Memorial Sloan Kettering. Plus, if you buy a belt and then want to buy some makeup, you’ll get 10% off of all Lancome purchases. Oh, and there will be free goodies, champagne and hors d’oeurves. Sounds like a great way to kick-off the holidays! Published on May 15, 2009 in Sales & Events and Uncategorized. 0 Comments Tags: Kalyn Johnson, Kier+J, Possess Your STYLE, Style by Kalyn Johnson. WHY: Um … great cashmere (cashmere blends, wool, silk blends and fine cottons) at really really low prices, like $25 per sweater. Designed in Paris by Junichi Hakamaki, former assistant to Tom Ford, and sold state-side. The collection is made up of light-weight knits in a range of styles – funky sweater coats, beautiful wrap dresses, henleys, tanks and cardigans – all at a fraction of the cost. Junichi’s designs are for the modern discerning woman, this is not your grandma’s cashmere!